Over Thanksgiving break, my family and I took a much needed vacation to Circle Bar B Guest Ranch & Stables in Santa Barbara, California. My kids had just completed their first trimester of school and I was gearing up for a very busy work season. So, off we went to Santa Barbara. Located less than 100 miles from L.A., Santa Barbara is one of the best things about Southern California. This picturesque beach side community is fast becoming a serious vacation spot for families with new museums, family-friendly resorts and activities for children of all ages. There are countless ways to keep everyone, at every age, entertained. 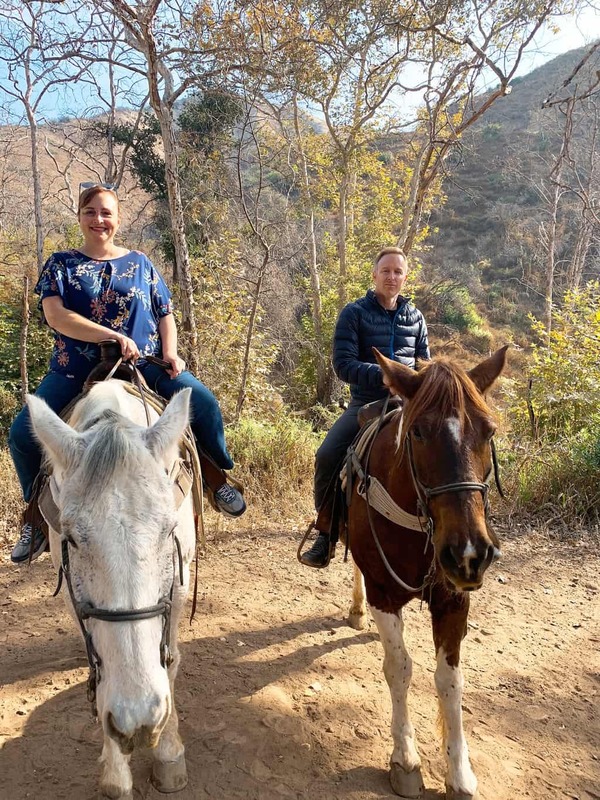 During the first two nights of our stay, we were guests at Circle Bar B Guest Ranch & Stables, located 20 miles north of Santa Barbara in Refugio Canyon on the scenic Gaviota Coast. 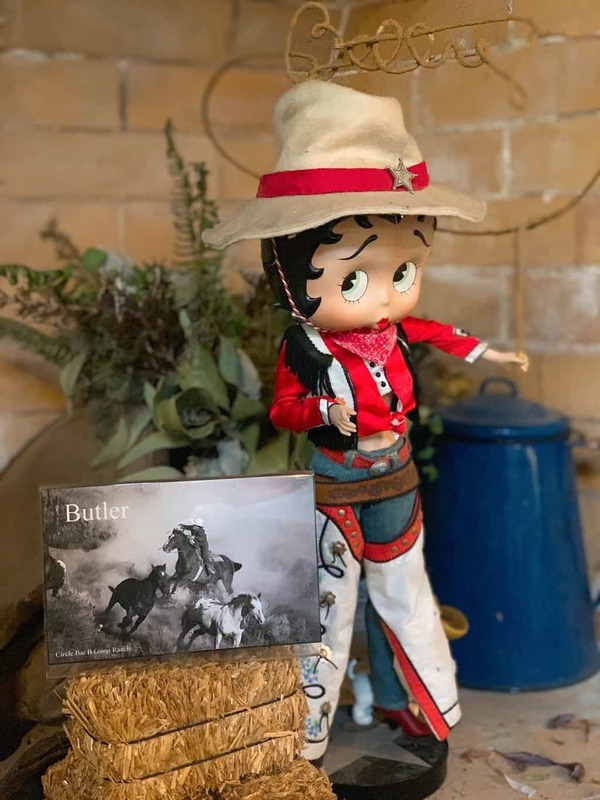 This classic California dude ranch offers unparalleled rooms and cabins, amazing horseback riding, tranquil surroundings, excellent food and warm hospitality. 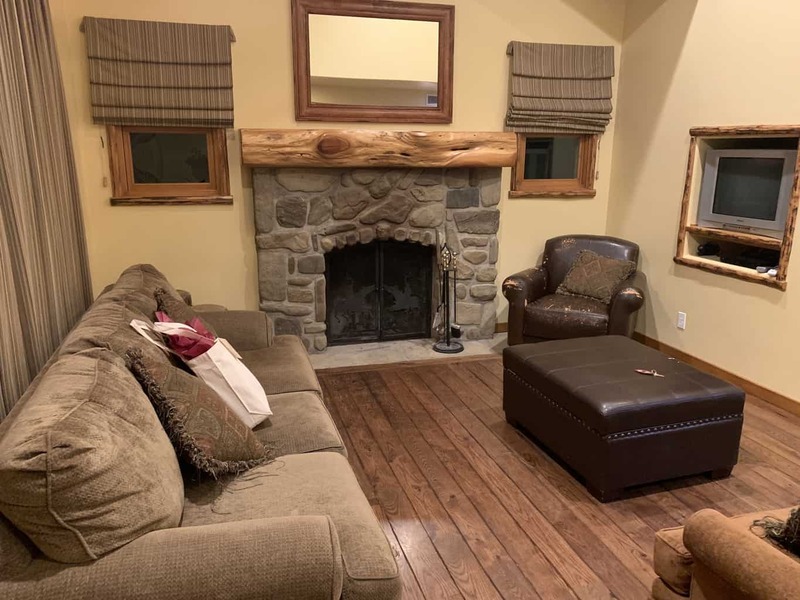 Circle Barb B Guest Ranch & Stables has a wide range of accommodations for small and large size families including deluxe ranch rooms and private creekside cottages. We happily stayed in one of the two Hillside Homesteads on the dude ranch. The quaint 2-story unit had a downstairs bedroom with a king sized bed and an upstairs bedroom with a queen bed and twin sized bunk beds that my kids slept in. This particular homestead can sleep up to 6 people or 8 with an aero bed. 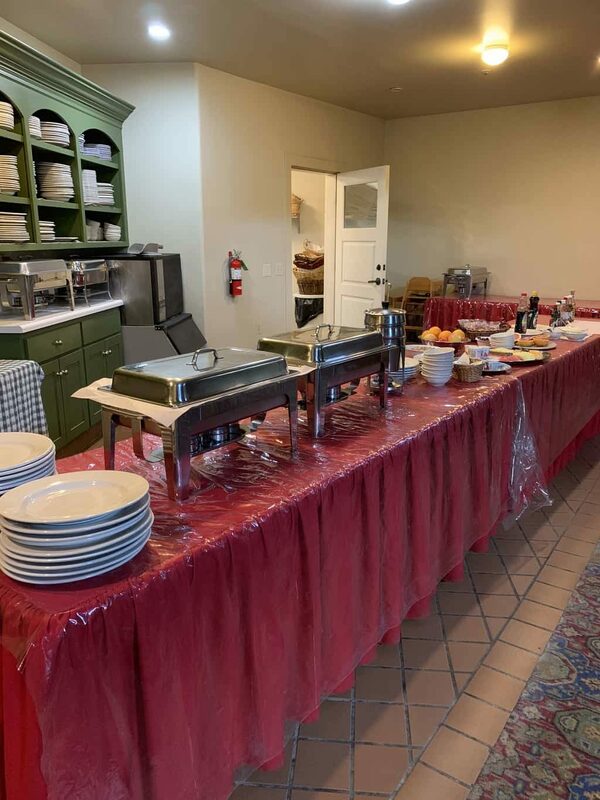 Guests are invited to enjoy a freshly prepared breakfast and dinner served daily in the lodge’s dining hall. They have a private chef on staff and pride themselves on infusing casual ranch style dining with their own gourmet flair. Nobody at the Circle Bar B Guest Resort goes hungry. I can attest to that! 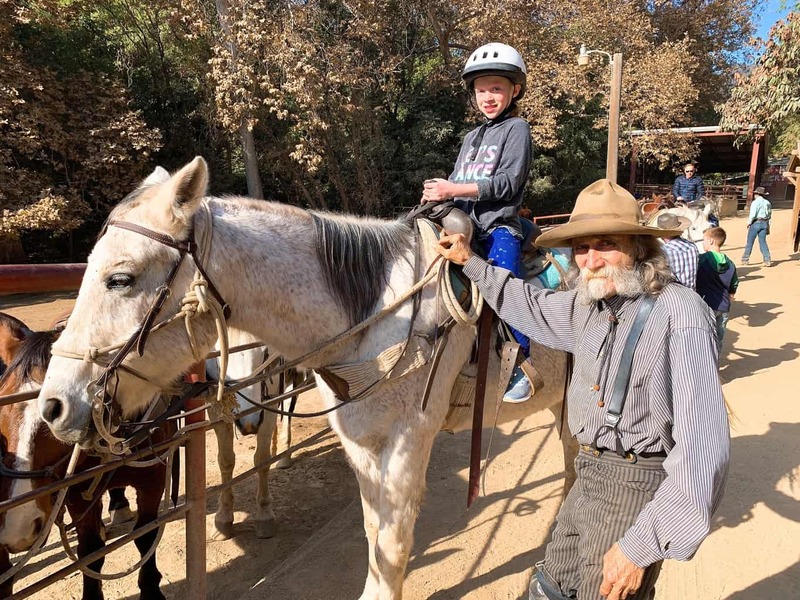 My family and I enjoyed many of the complimentary amenities that the California dude ranch has to offer. We took an easy stroll around the 1,000 acre property and saw some of the wildlife in its own natural habitat. 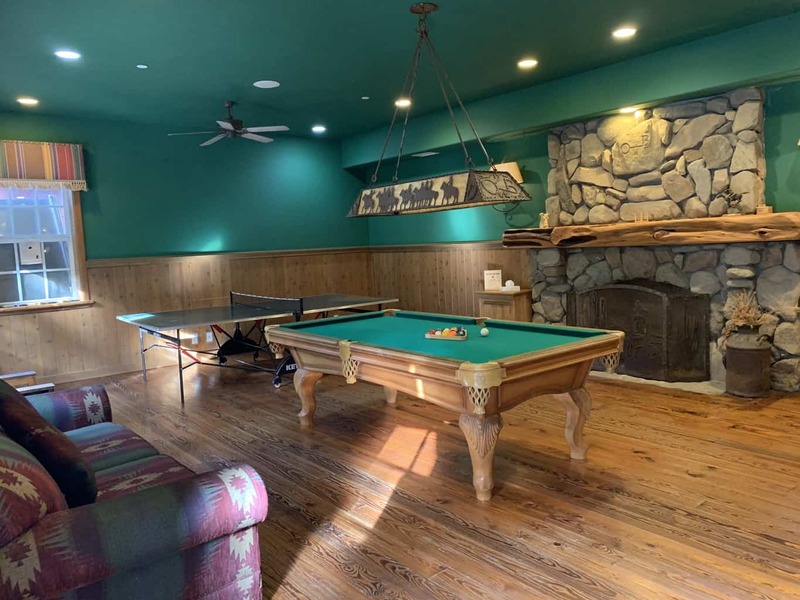 We took a dip in the seasonal pool and played foosball and ping pong in the game room with a few other guests. It was quite the family atmosphere! 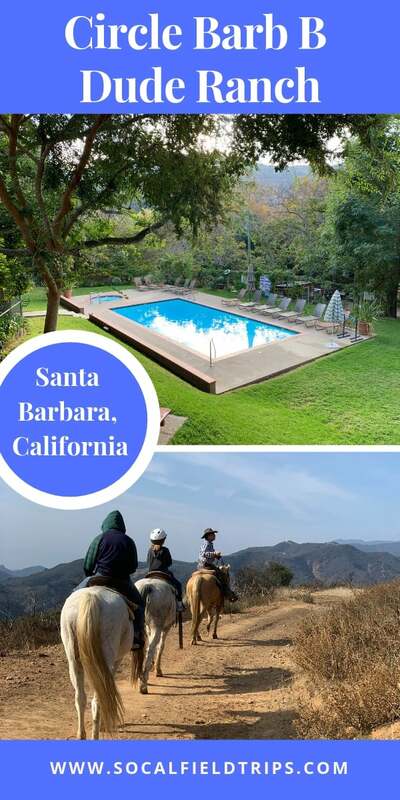 Circle Bar B Riding Stable is the oldest public horseback riding stable on Santa Barbara County’s South Coast. They offer fine riding horses for riders of all ages and sizes and provide a variety of horseback riding experiences for every level of riding ability. There are daily morning and afternoon trail rides for both adults and children. 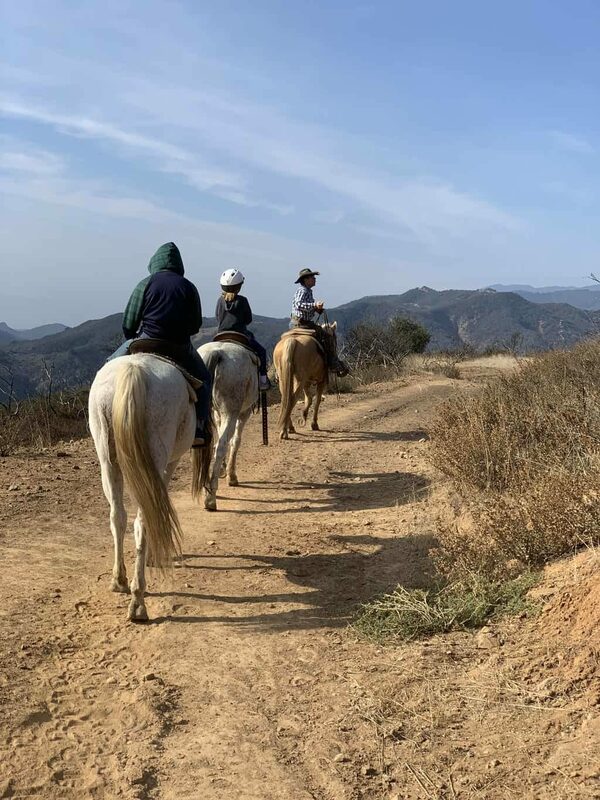 One afternoon we took a personalized horseback ride with Circle Bar B Stables and saw the Santa Barbara coastline in all it’s glory. 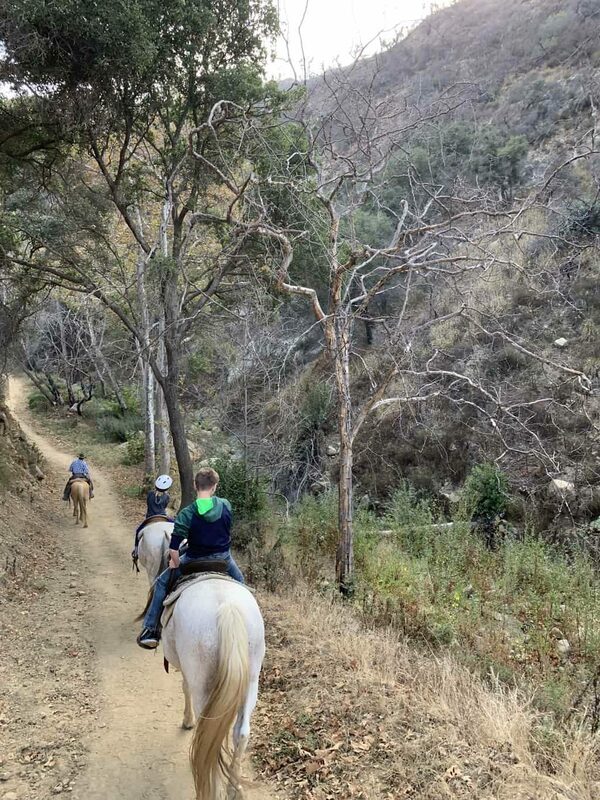 The two hour trail ride took us through the coastal Santa Ynez Mountains — up fern-lined canyons, across streams, and past waterfalls to magnificent vistas of the Pacific Ocean and the Santa Barbara Channel Islands. 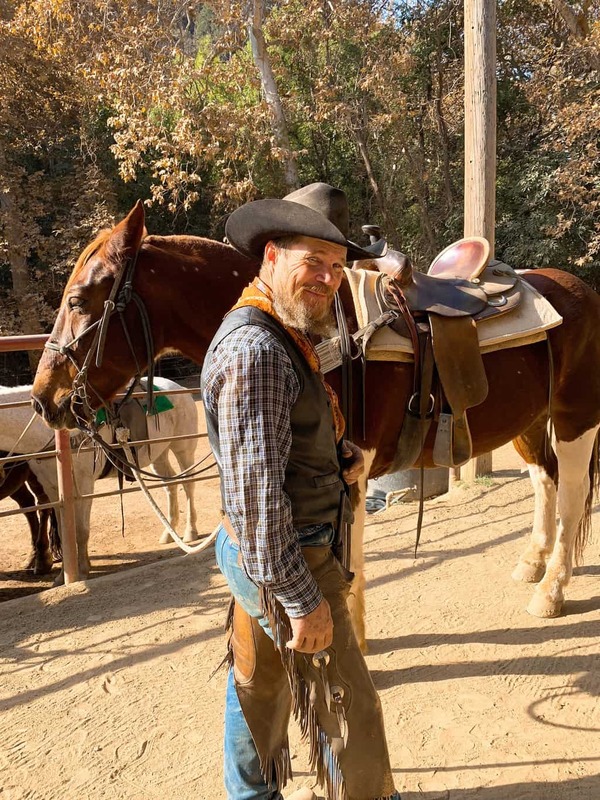 Our tour guide was quite the seasoned ranch hand for Circle Bar B Resort. He knew the history of the property and its owners inside and out. 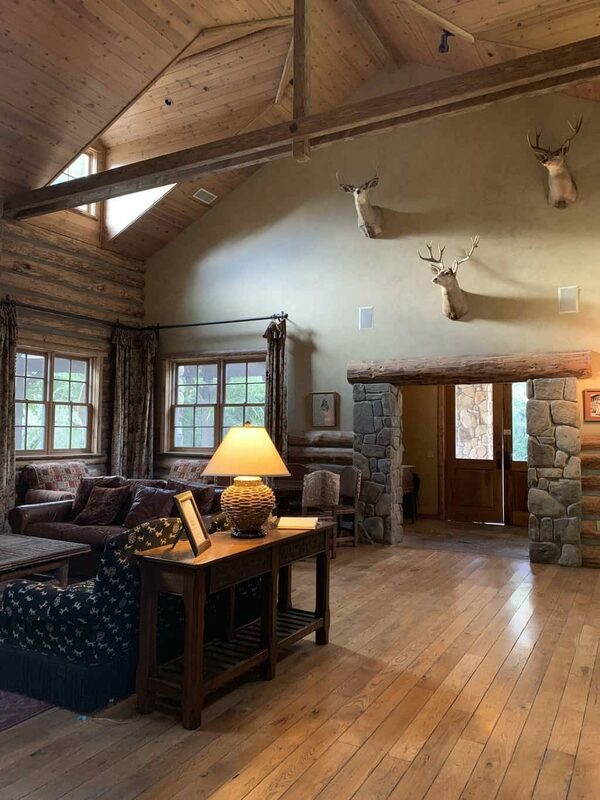 Currently in its third generation of family proprietorship, the Circle Bar B Guest Ranch was brought to life in 1939 by Florence Brown and Ed Randolph. During that year, they purchased 60 acres of what was an original part of the Ortega-Stokes 1843 Mexican Land Grant. 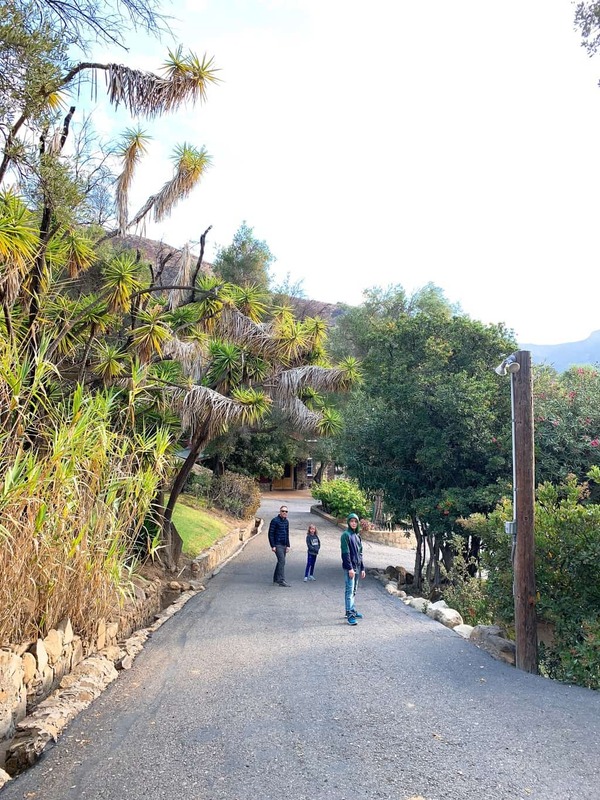 Florence found the Refugio canyon with its pristine beauty and coastal appeal to be just the place for a children’s camp, and then in 1941, a guest ranch. 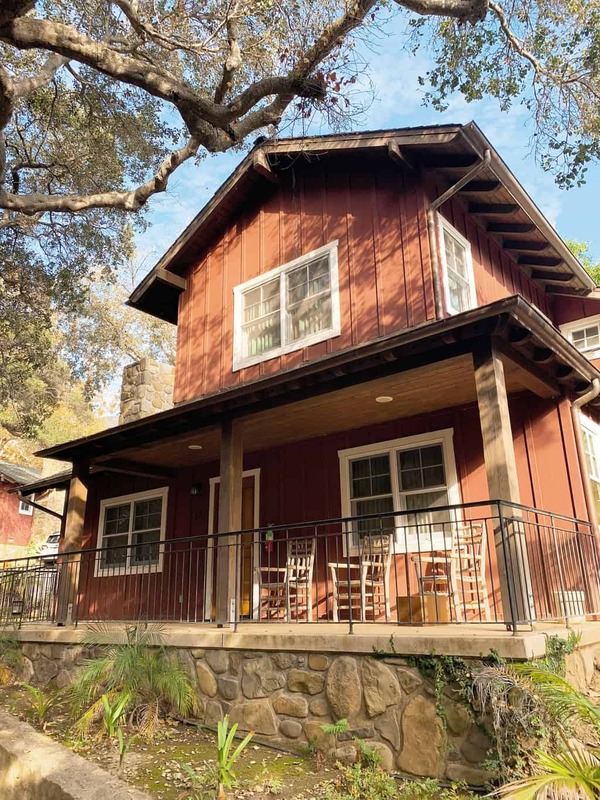 Florence bridled her passion from running the Holt Guest Ranch in Los Alamos, California into the Circle Bar B and created a unique vacation experience that still enchants visitors from all over the globe. 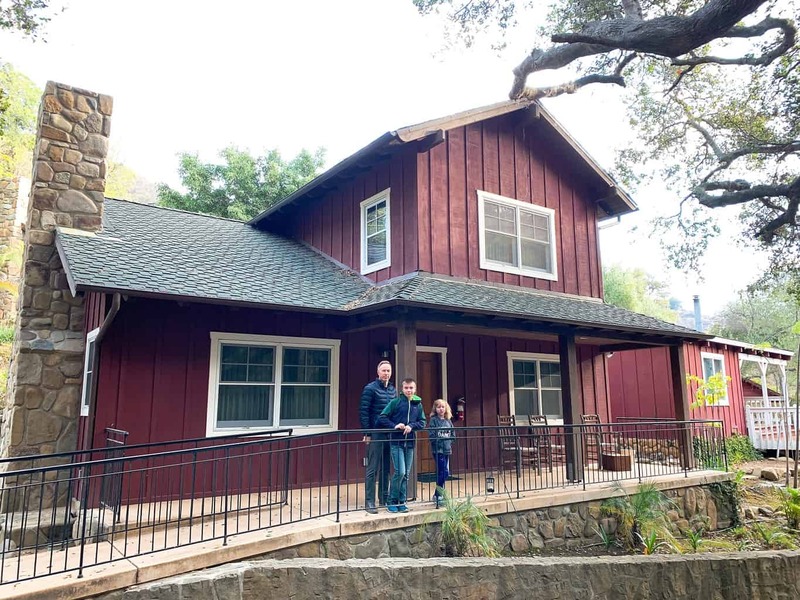 As additional acreage was purchased and the ranch’s popularity increased, demand was met with the addition of newer guest facilities, updated buildings and eventually a dinner theatre. Florence’s vision has been enriched over the years and is still carried out today by her family. Florence’s son Jim and his two children Pat and Kathy currently run the family business. Guests can find Jim sitting by the bar every night in the lodge enjoying a drink and reimnessing about times past. 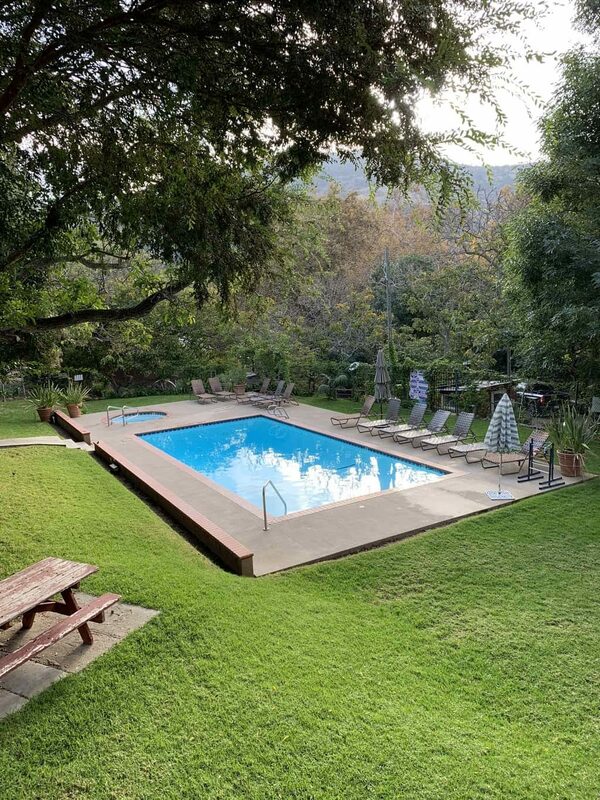 Circle Bar B Guest Ranch is located just 30 minutes from Santa Barbara and 30 minutes from Solvang. The dude ranch is adjacent to former President Reagan’s ranch in the mountains overlooking the Pacific Ocean. The nearest airports are located in Santa Barbara (local) or Los Angeles (international). Take Coastal Highway 101 to the Refugio State Beach Exit, and drive 3.5 miles into the canyon on Refugio Road. Located at 1800 Refugio Road. 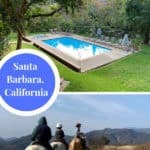 To book your next family vacation at Circle Barb B Resort in Santa Barbara, visit CircleBarb.com.